CircusInfo Finland provides information services on Finnish circus. 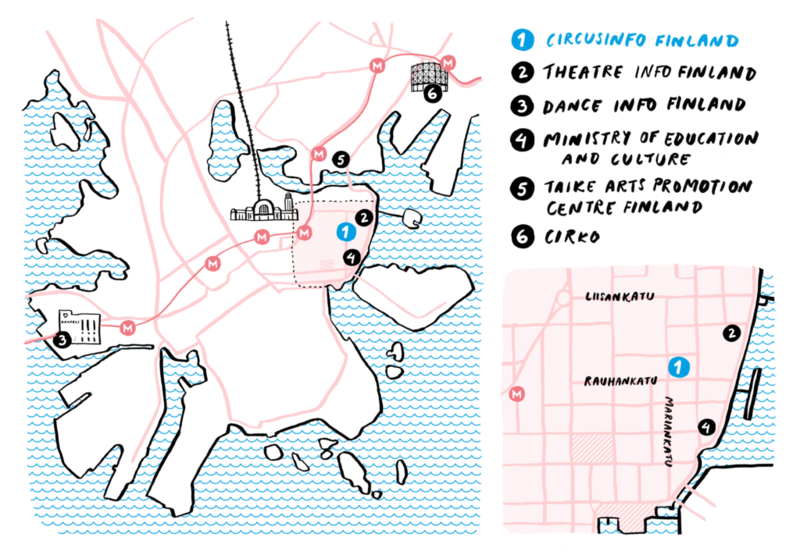 It promotes the artistic and cultural development of circus in Finland and internationally. CircusInfo Finland supports the export of Finnish circus art through its strong international networks and promotional activities. CircusInfo Finland maintains an online database on performing Finnish circus professionals, circus performances and companies. CircusInfo collects a reference library on circus literature, newspaper clippings, video materials, etc. CircusInfo compiles statistics and reports related to activity in the circus field to aid political decision-making. It is a strong national partner in advocacy and lobbying for the circus art. CircusInfo Finland was founded in 2006 and receives yearly funding from the Ministry of Education and Culture.